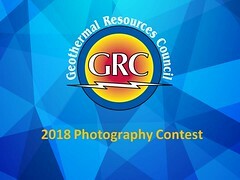 U.S. Geothermal Inc., today announced an update on the construction of its three module, 22 net megawatt geothermal power plant at the Neal Hot Springs project, located in Malheur County, Oregon. Construction work for the air cooled power plant is largely complete and the contractor is now focused on achieving commercial operation within the fourth quarter of 2012. Module 3 achieved mechanical completion and will be charged with working fluid tomorrow. The contractor is also performing final system checks of Module 3 in preparation for starting and synchronizing its output to the grid.